Display Magazine is published twice a year by the English Department, and has since 1964. It showcases the work from the College’s “best and brightest student poets, fiction writers, prose writers, artists, photographers, and graphic designers.” In an effort to ensure that works of students can be shared more widely, this semester, College Archivist Mike Klawitter ramped up the project with the help of student Rhiannon Bower, who is scanning issues originally published in print. Klawitter ensures the scans are machine readable, indexed, and viewable in GRCC’s Digital Archive. 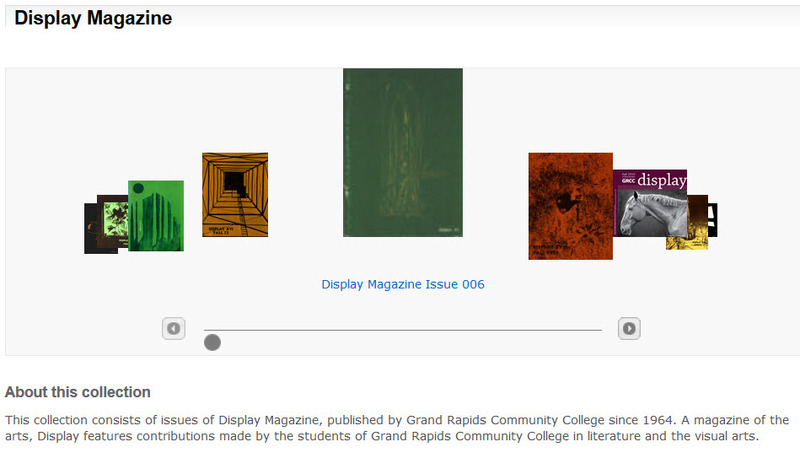 Take a look at Display Magazine in GRCC’s Digital Archive. 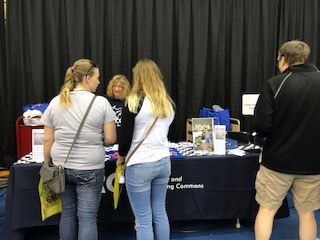 Kathy Schoen helps students at Raider Rally. Hundreds of students attended Raider Rally last week; most stopped at the Library table. Katherine & Kathy passed out candy, “swag” and campus maps. They showed students how to create a free New York Times account. Library employees will also be hosting a table on Involvement Day, Wednesday, Sept. 6 on Olivarez Plaza. We hope to see you there! 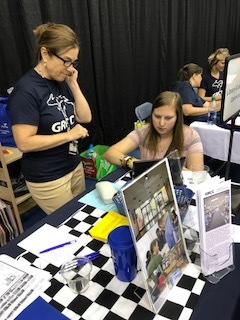 Librarian Katherine Gregg helped student create a New York Times account. 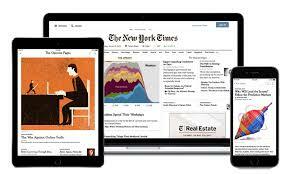 This student successfully created her free New York Times account.